According to Doctor Who Magazine, this one of the top-ten best Big Finish stories to ever be released under the Doctor Who banner. Personally, I think this is a story which has its reputation blown out of all preportion but it is still a good ride. The Kingmaker takes its sheer delight in roasting history, Doctor Who and Shakespeare. The whole story starts when the Doctor's companions, Peri and Erimem see the disasterous opening performance of Shakespeare's Richard III, while back at the TARDIS, the Doctor has been chased down by a publishing robot from the future that are there to force him to finish his line of novels, Doctor Who Discovers, which were real life books that stopped publication because of their low selling rates! 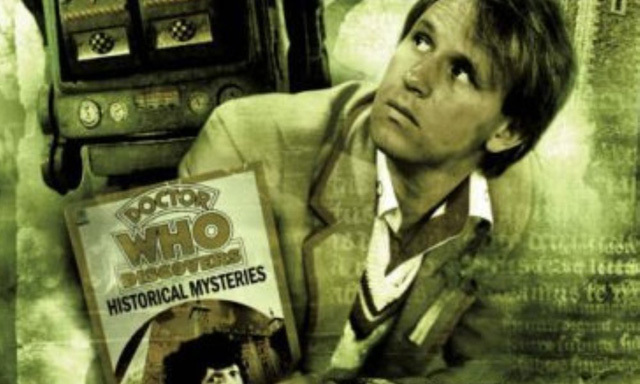 Erimem's curiosity at history, or in her case, the future and the Doctor's need to finish his books leads them to set course for 1485 to find out what the real fate of the princes in the tower was. Leaving to gather their information at the Kingmaker pub, the Doctor warns his companions not to be late in joining him. But being late isn't the problem, while his friends are changing into appropiate clothing, the TARDIS strangely travels two years into the past. For all the laughs that are to be had, this isn't a silly story all the way through. The 1480s were a brutal period of history, particularly for two women on their own. And the culture clashes come from within too as Erimem, an Egyptian pharoah has a much different viewpoint when it comes to history, royalty, life and death. And then there is the mysterious advisor to the Duke of Gloucester. A man with a cropped beard, dressed in black and claims to come from the future. The Kingmaker may see some listeners thrown off by the modern idiom used throughout and some may not. Some, like me, might be uncertain of Stephen Beckett making Richard sound like Christopher Eccleston's Ninth Doctor. But none of this should distract the listener from enjoying a story which really is a delight.